Print it out, fill it out, and bring it to a meeting along with a DD214 and proof of award. In any action against an enemy of the United States. In any action with an opposing armed force of a foreign country in which the Armed Forces of the United States are or have been engaged. As a result of an act of any such enemy of opposing armed forces. After 28 March 1973, as a result of an international terrorist attack against the United States or a foreign nation friendly to the United States, recognized as such an attack by the Secretary of the Army, or jointly by the Secretaries of the separate armed services concerned if persons from more than one service are wounded in the attack. B. While clearly an individual decoration, the Purple Heart differs from all other decorations in that an individual is not “recommended” for the decoration; rather he or she is entitled to it upon meeting specific criteria. A Purple Heart is authorized for the first wound suffered under conditions indicated above, but for each subsequent award an Oak Leaf Cluster will be awarded to be worn on the medal or ribbon. Not more than one award will be made for more than one wound or injury received at the same instant or from the same missile, force, explosion, or agent. A wound is defined as an injury to any part of the body from an outside force or agent sustained under one or more of the conditions listed above. A physical lesion is not required, however, the wound for which the award is made must have required treatment by a medical officer and records of medical treatment for wounds or injuries received in action must have been made a matter of official record. When contemplating an award of this decoration, the key issue that commanders must take into consideration is the degree to which the enemy caused the injury. The fact that the proposed recipient was participating in direct or indirect combat operations is a necessary prerequisite, but is not sole justification for award. (a) In a case such as an individual injured while making a parachute landing from an aircraft that had been brought down by enemy fire; or, an individual injured as a result of a vehicle accident caused by enemy fire, the decision will be made in favor of the individual and the award will be made. (b) Individuals wounded or killed as a result of “friendly fire” in the “heat of battle” will be awarded the Purple Heart as long as the “friendly” projectile or agent was released with the full intent of inflicting damage or destroying enemy troops or equipment. D. Upon written application to Commander, ARPERCEN, ATTN: DARP-VSE-A, 9700 Page Boulevard. St. Louis, MO 63132-5200, award may be made to any member of the Army, who during World War I, was awarded a Meritorious Service Citation Certificate signed by the Commander in Chief, American Expeditionary Forces, or who was authorized to wear wound chevrons. Posthumous awards to personnel who were killed or died of wounds after 5 April 1917 will be made to the appropriate next of kin upon application to the Commanding General, PERSCOM. F. For those who became Prisoners of War after 25 April 1962, the Purple Heart will be awarded to individuals wounded while prisoners of foreign forces, upon submission by the individual to the Department of the U.S. Army of an affidavit that is supported by a statement from a witness, if this is possible. Documentation and inquiries should be directed to Commander, PERSCOM, ATTN: TAPC-PDA, Alexandria, VA 22332-0471. 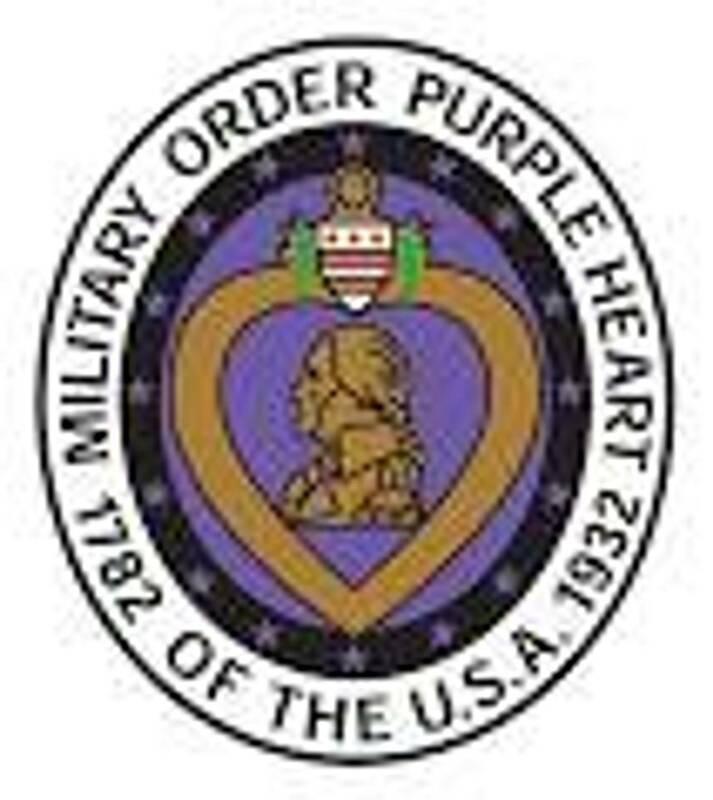 G. Any member of the U.S. Army who believes that he or she is eligible for the Purple Heart, but through unusual circumstances no award was made, may submit an application through military channels, to Commander, PERSCOM, ATTN: TAPC PDA, Alexandria, VA 22332-0471. Application will include complete documentation, to include evidence of medical treatment, pertaining to the wound. Any Army employee who is traveling outside of the continental limits of the United States on PCS or temporary duty (TDY) aboard a commercial aircraft and wounded by international terrorists in an attempted or actual hijacking incident. An Army employee in an Army office building performing his or her job who is wounded by an explosive device detonated by international terrorists. A civil or foreign service employee from a U.S. Government Agency or Department attached to an Army element performing intelligence, counter-terrorist, or other duties with the Army wounded by international terrorists. An Army employee wounded in an international terrorist incident in which a soldier or soldiers are also wounded.